Ok, I might be a little bit embarrassed to admit that I have never eaten at Panera Bread. I know exactly where one is… it’s actually across the street from Pei Wei and we love to eat there. But Panera Bread?!? Have I been missing out on something yummy and delicious? Are you guys eating there often and I’m missing out? 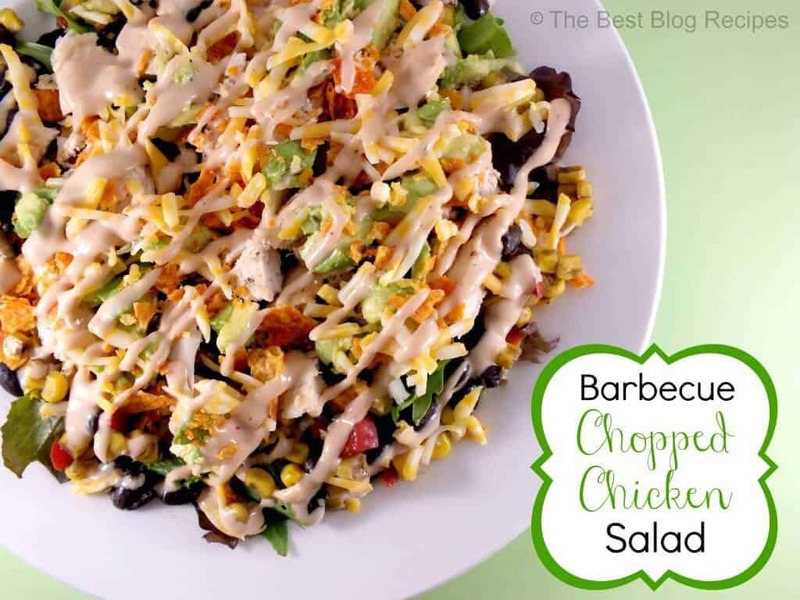 When I saw a recipe for a Barbecue Chopped Chicken Salad over at Cheerios and Lattes I thought it looked really yummy and that I might want to try it. I was especially interested in it because it was a Panera Copy Cat Recipe and since I haven’t eaten there yet I thought it would be a good indicator if I would like their food. I’m happy to say that we all loved this salad! Even my picky teenager. I switched out the tortilla chips for Nacho Cheese Doritos and I think it complimented the salad perfectly! 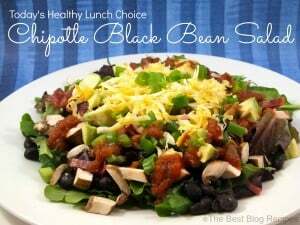 A delicious Barbecue Chopped Chicken Salad with roasted corn, black beans, red bell pepper and a delicious barbecue ranch dressing! Begin by lightly sprinkling your chicken breasts with garlic salt. Cook them on the barbecue until the chicken is done and the internal temp reaches 165°. Spray a medium skillet with cooking spray and add your red bell pepper. Cook for about 3 minutes and then add your corn. Continue cooking for another 3 minutes and then add your black beans until they are heated through. Once this mixture is done cooking dump your mixture out on a large plate to allow it to cool so that it won't cook your lettuce when you add it to your salad. When your chicken is done cooking chop it into bite sized pieces and allow it to cool for a couple of minutes too. Mix your barbecue sauce and ranch dressing in a small bowl. Add more or less barbecue/ranch depending on your taste. Super important... don't add hot ingredients directly over the top of your lettuce. Let it cool for a while so it won't cook your lettuce. What a great recipe, I can’t wait to try this one! Thanks so much for sharing your awesome recipe with Full Plate Thursday and have a great weekend! I”m so happy it’s salad season again! I can’t wait to add this to the lineup. I’m glad I found your link through the Twirl & Take a Bow Party. Now this is a salad I can totally get behind! Seriously, yum! Pinning!!!! Chipotle is one of my all-time favorite flavors! G’day! I LOVE chopped salads! Yours looks delicious! This seriously looks so good! I pinned it and am going to share it on my blog FB page! Thanks for stopping by and pinning Becky! It was a pleasure to feature your great recipe on Friday Finds today, Shauna. Thanks so much for sharing it and stopping by. Have a wonderful weekend! Thanks again for the feature Laurel! Thanks for linking to Saturday Dishes. 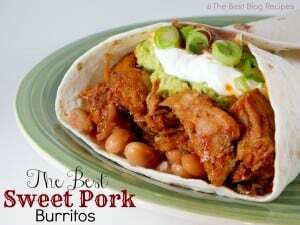 I am featuring your recipe today on HammockTracks. This is my fav panera salad! You definitely need to check out Panera! This looks delicious, and the chips would interest my boys long enough to convince them that salad can be dinner! I’ve never had this at Panera, but I have to say, Panera is excellent. You’re def. going to have to try it. I love their soups and salads. 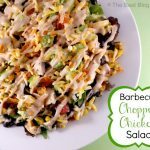 This looks so yummy and perfect for BBQ season! Thanks for sharing at Silver Pennies Sundays. Everyone really loves Panera! I can’t hardly wait to try it 🙂 Thanks for stopping by and commenting on my recipe Danielle! Oooh.. ahhhhh…. this looks tasty… love the crushed chips too. Thanks for sharing both of your great dishes! Yum, this looks like a fabulous lunch! 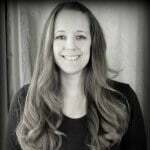 Love your blog- found you through Memories by the Mile! Well, I love Panera but more – I love salads. Thanks so much for sharing! Pinned for later. Following on FB too. Have a great weekend! Thanks Deb for pinning while you were here 🙂 Made sure I was following you too from my FB! This recipe sounds fantastic! I’ve been to Panera, but never tried this there before! Thanks Sheena! 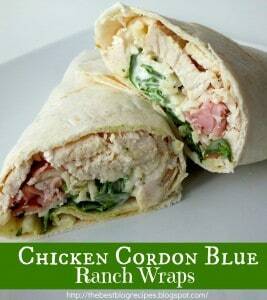 This recipe was delicious and it got me really excited for my first Panera experience!